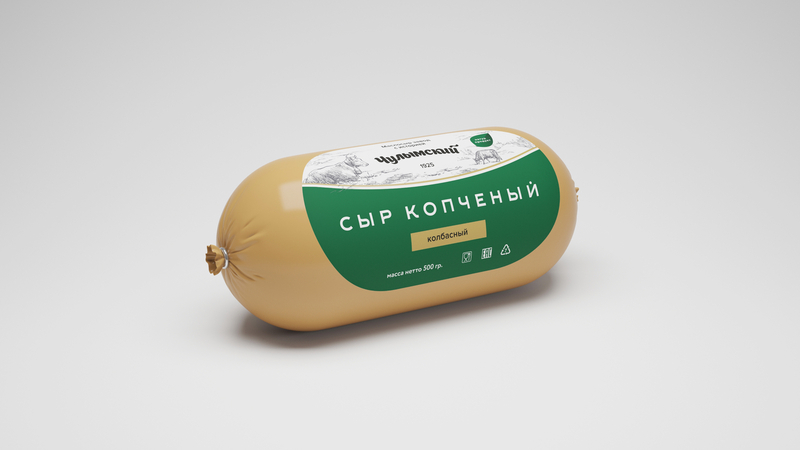 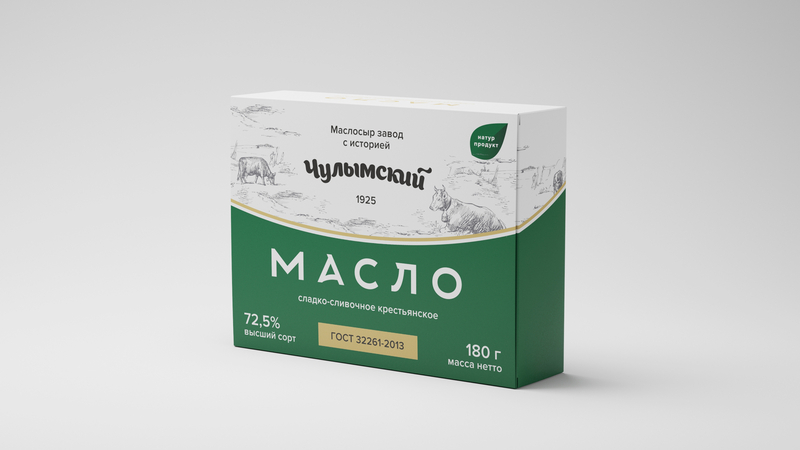 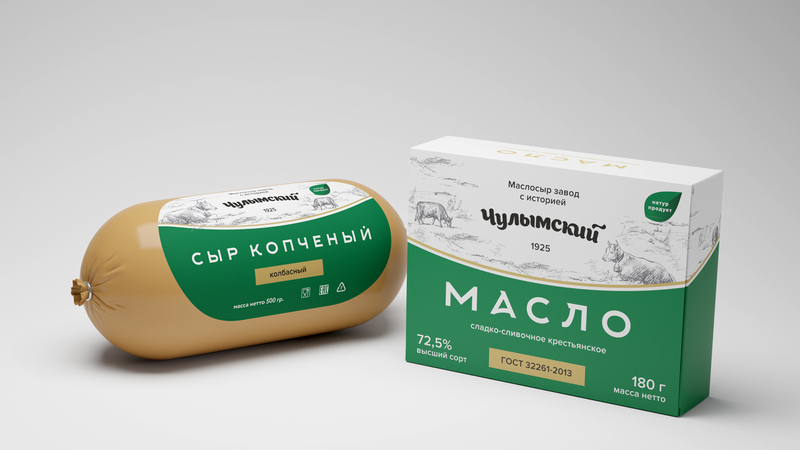 Task: make a logo and package for the products of the Chulymsky factory. 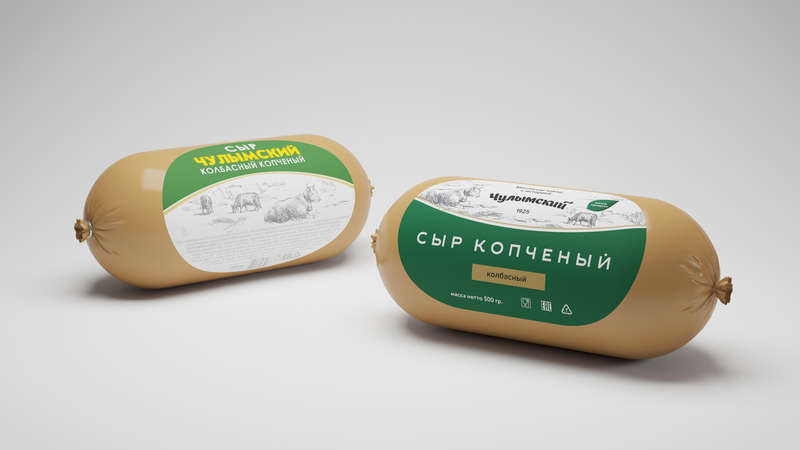 We decided to keep the products recognizable and make redesign for more expensive segment. 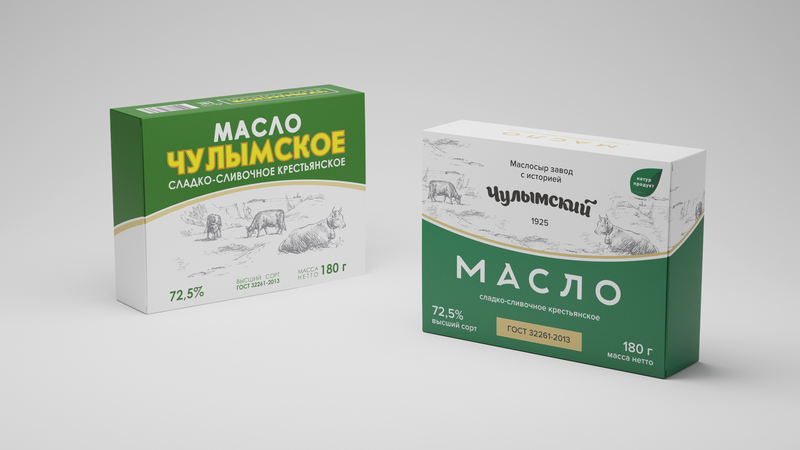 In addition to packaging, we decided to develop a logo for the factory to increase brand awareness.